Quite a few of our hunter friends have praised the DedNutz scope mounting system. This is a unitized one-piece base AND ring system. Because the rings are integral with the scope base, you won’t encounter any potential misalignment between the front and rear base. You also eliminate the need to keep the rings torqued securely to a separate base. The rigid DedNutz design has no moveable parts between the firearm and the scope. Made of milled, anodized aluminum, the one-piece DedNutz scope mounting system is one-third the weight of most other one-piece base and ring mounts and it can’t rust. For target rifles with a Weaver or Picatinny-style base, we still advocate the use of Burris Signature Zee rings. However, if you are looking for a sturdy, more rugged scope-mounting set-up, the DedNutz system fits the bill. It would be a good choice for a walk-around varminter or a deer rifle. 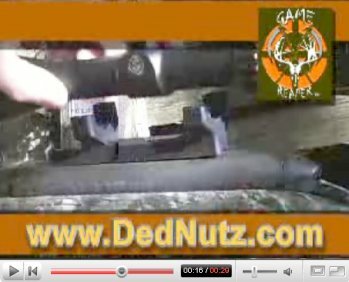 Because the front and rear rings are precision CNC-machined, DedNutz says that it’s not necessary to lap the rings. We still recommend you inspect the ring edges and lightly debur as necessary. If you choose to lap the rings, do it gently as the inside should be very concentric already and you don’t want to grind through the anodizing. DedNutz scope mounts are available to fit dozens of different hunting rifles. 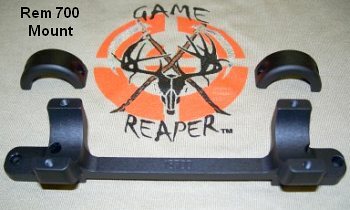 They are offered in 1″ and 30mm sizes, in matte silver, matte black, or Realtree Camo finishes. 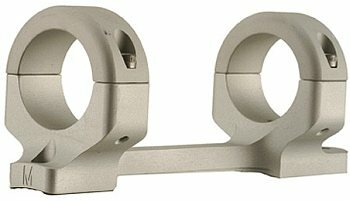 DedNutz scope mounts start at about $50.00 and can be purchased from MidwayUSA.com, or direct from DedNutz.com. Share the post "DedNutz One-Piece Scope Mounts"
NRA-approved gunsmithing courses are conducted at four locations across the country. There is still time to sign up for most of the 2008 courses, which run in May through August. Classes offered at Trinidad State College in Colorado include Metal Finishing/Blueing, Stock Carving, and Handloading & Ballistics. Lassen Community College in Susanville, CA offers Law Enforcement Armorers’ School Classes for AR15s, Long Guns, and Sniper Rifles, an M1/M1A Accurizing Seminar, plus courses in Knifemaking, Engraving, and Metallic Cartridge Reloading. Montgomery Community College in Troy, NC offers August classes in Welding for Gunsmiths, Knifemaking, plus High-Grade European and American Rifles. For more info, log on to the NRA Gunsmithing School site. 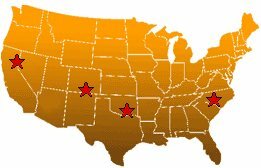 College information offices and current summer schedules can be found at MidwayUSA’s Gunsmithing School page. We know two people who completed Armorers’ classes at Lassen CC. They reported the program was excellent. Photo courtesy MidwayUSA.com. Lassen C.C. | Trinidad St. | Murray St. | Montgomery C.C. 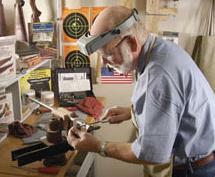 Share the post "Learn Skills at NRA Gunsmithing Schools"